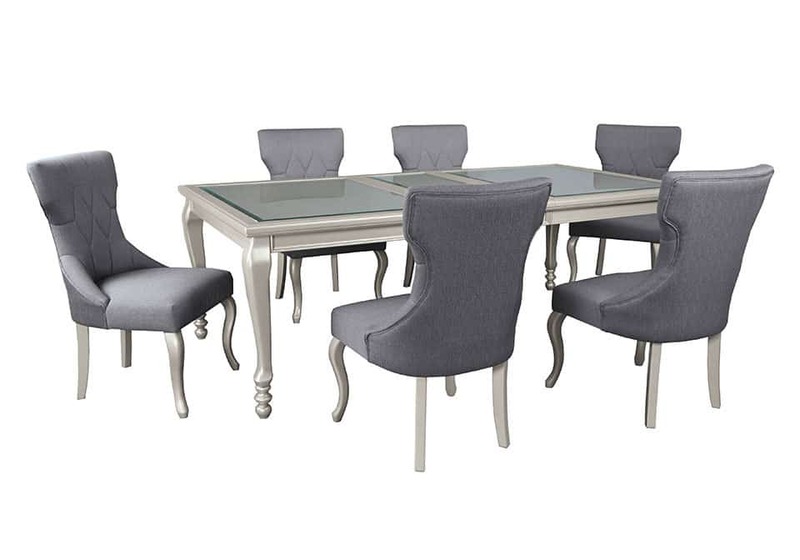 Coralayne dining room extension table relishes the glitz and glam befitting silver screen queens. Curvaceous cabriole legs are truly alluring, as is the exquisite frame’s lightly metallic finish. Faux shagreen showing through clear glass inlays melds a cool textural look with a smooth tabletop surface. Made with paint grade materials including a stipple look with hardwood solids in a mid-sheen silver paint finish. 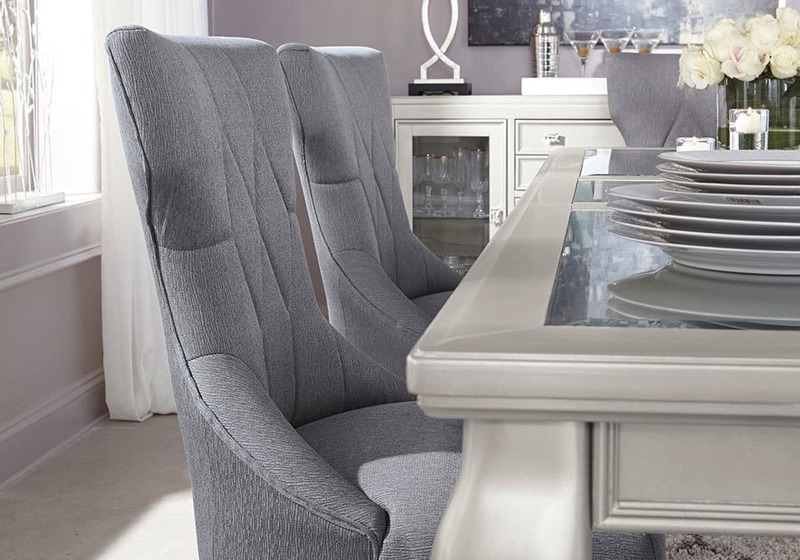 D650-35 table has silvery textured PVC under a glass top with cabriole legs. 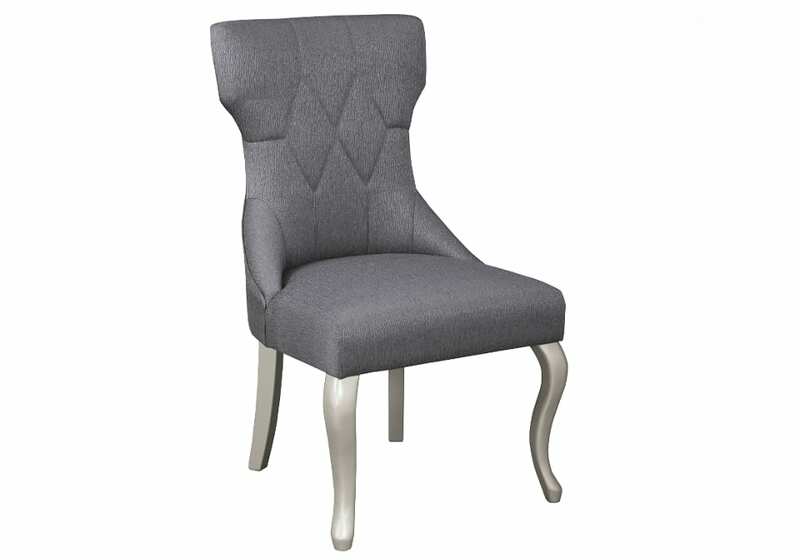 D650-01 wingback chair is fully upholstered with button tufting in a dark textured gray fabric. Server has large radius corners, glass doors and sides with glass shelves, and drawer and doors with a silvery textured PVC front panel. Hardware is a chrome rectangular pull with a bejeweled face. Drawer boxes are English dovetailed and fully finished with metal ball bearing side guides for smooth function.